Locals tell of strange doings happening at this accursed homestead. Well, some dang blasted fool finally did it. Didn’t listen to my warnings or the warnings of any of the other homesteads on this lovely, upper-middle class neighborhood. Lots of good, clean, hardworking folks around here and they aren’t in the habit of telling tall tales. Nawp, straight as an arrow these ones fly. But they all told tales of horrendous doings at that ol’ Kelly shack. Awful things. Things that nobody should have to hear about. Rumors of things go around in this town about what that man did to those he cared about…the monitoring of their every move, the horrendous experiments to drain every ounce of productivity for their used up husks, then casting aside their decrepit, atrophied bodies once they were of no more value…makes me shudder to even think of it. Can I interest you in some sweet tea? A Johnny Cake or two? Nawp? Suit yourself. What dang burned fool finally brought the house? Don’t rightly reckon…Some city slicker, no doubt, decided they would scratch an itch that only life in the country could soothe. Plenty of other homes around here to play cowboy and farmer on the weekends when you unwind from your high-powered telebusiness position, or what have you. But nobody listens. They never do. I’ve lived here since ought six and you’ll never catch me step a foot onto that property. Had a Holstein disappear for several days, believe it got lost in the Kelly compound, and that cow was never the same when it returned. It’s milk was rotten. Had to put her down with a ball peen hammer it got so ugly. Can’s imagine the horrors it saw. I wouldn’t go down that road. Well hello young fellas, what can I do for you this fine summer afternoon? Care for a glass of sweet tea? Maybe sit on my porch for a spell, catch your breath and your bearings, you all look like you’ve traveled many miles. No? Well what can I do to help you? I don’t have much, just a simple man with a simple way of life, working the land and doing the best I can to keep my family afloat. 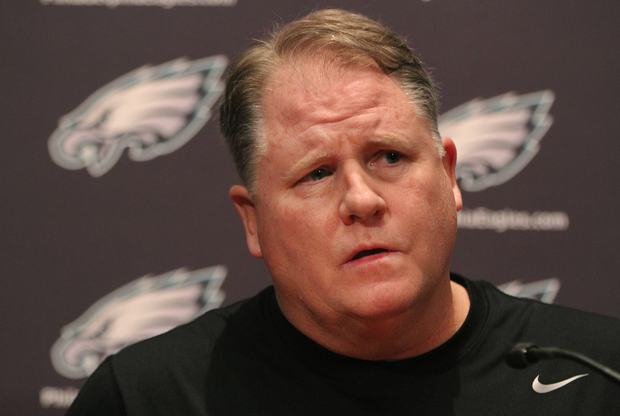 Haddonfield, NJ – Perhaps becoming frustrated by his lack of coaching opportunities, the recently fired Chip Kelly came out to the media Thursday and announced that he had an interest in a local coaching position. Kelly granted an interview to Lisa Brackins, a freshman reporter for the Bulldawg Bulletin, the official paper of Haddonfield Memorial High School. In the 2,000 word article, Kelly reportedly announced he hoped Haddonfield would consider him as a potential new coach for the high school’s football program. Philadelphia, PA – Perhaps frustrated at being stymied for a comment by Chip Kelly’s girlfriend at their Haddonfield home, Les Bowen is currently sitting inside a stiflingly hot and stuffy wooden crate that is en route to Kelly’s house. The veteran reporter was denied entrance into Kelly’s home last night and could not get a comment from the recently fired head coach. A fuming Bowen reportedly came up with the ill-advised scheme early this morning after downing a fifth of Jim Bean. He forced his Daily News co-workers to stuff him inside the crate and have it immediately shipped to Kelly’s home. Several co-workers balked at Bowen’s request to be “greased up” before squeezing into the crate. Haddonfield, NJ – Less than two weeks after closing on his new home in Haddonfield, Chip Kelly is already facing sharp criticism in his Camden County Community after a number of children decided to egg his home on Halloween evening. Word on the street in Haddonfield is that children were less than thrilled with what Kelly handed out in lieu of candy for Halloween.